Can I hear Thunder NBA baketball games streaming online for free? Oklahoma City Thunder NBA basketball games can be heard streaming online or on the radio locally (see below for station listings). To listen to the Thunder basketball games from their flagship radio station, you'll want to tune into WWLS 98.1 FM (or 640 AM) if you're in the Oklahoma City area. To stream Thunder games for free online go to WWLS 98.1 FM radio station (just click the Listen Live button) or NBA Radio at TuneIn. Android: To listen to Oklahoma City Thunder games on your Android phone or Android tablet, you'll want to download the TuneIn Radio app for Android. The TuneIn radio app allows you to stream live radio station feeds right to your device so you can listen to NBA basketball games on your phone. You can also listen to games on the NBA app for Android. You can watch NBA games on Amazon Prime Video with NBA League Pass. Check out all of the NBA games (Live & Upcoming) on Prime Video. 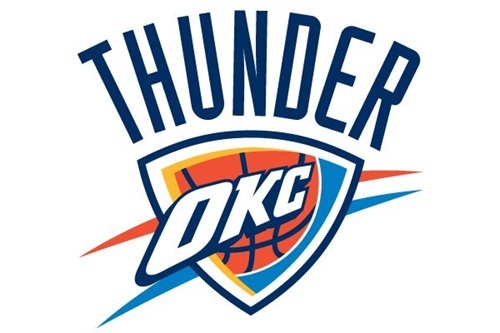 You can also watch Oklahoma City Thunder games on your iPhone or iPad, just download NBA Game Time for iPhone (or NBA Game Time for iPad), which gives you access to Live NBA games through NBA League Pass. Live stream available within 75-mile radius of OKC via the Thunder Mobile App and WWLS - The Sports Animal app and website. Official Oklahoma City Thunder Mobile iPhone App.